"So long as there is one single person anywhere in the world who is denied his or her freedom, then none of us are free. As long as there is exploitation which is taking place on our doorstep, in our own backyards, then we must all share the responsibility to get justice and freedom for the people concerned." After the Civil War in the United States the south responded to the freedoms granted to African Americans by introducing "Jim Crow" laws. These laws were meant to keep the African American community in perpetual subservience to the white population that had once ruled the American South. Though the freed slaves could no longer be put in chains and shipped off to be sold as human cargo, they could no sooner gain access to the free world America had created for itself. For American society this came to known as "separate but equal". It was assumed that the African Americans should be grateful for what they had been given by Lincoln and simply accept that they were somehow inferior to the whites that had once owned them. As the generation of freed slaves grew old and their children grew up in a segregated America the divide between their limited freedoms and white America's total freedom became increasingly apparent. Jim Crow laws increased as African Americans became more apt to finding ways to overcome the barriers that had been set before them. Perseverance by the minority pushed the majority's discomfort to the point of breaking. With every step African Americans took toward equality the hate that fueled groups like the Ku Klux Klan grew. Over the course of the next few generations it would become even more obvious to American society that separate is never equal. Segregation would have to end if American society was to continue to mature in its understanding of true liberty. In America freedom comes like a raging fire. It is a violent and bitter course of action that puts our notions of what a free society is through a refining fire. Yet for all the hatred that comes boiling to the surface we somehow have managed to united in the end. By pushing the extreme elements of our society to the fringe we find at our core what it means to have our liberties as a country. For all the scars and wounds we have suffered along the way, America has brought forth an example of what elements of a culture cannot be tolerated in a society if it is to truly be free. Segregation is one of those elements. Europe has claimed to lead the world in tolerance and understanding. It boasts about its multicultural heritage and how it has managed to absorb others along the way. Immigrants that once flocked to America now set their eyes upon Europe as it's multiple economies spring new growth. Africans, Arabs, Eastern Europeans, and Asians all trickle into the EU with every passing year. Yet for all the new religions and cultures that Europe accommodates with reasonable success there remains one minority that Europe has a long history of failure with. The Romani people. Eastern Europe has centuries of negative history when it comes to even tolerating the Roma let alone accepting and integrating the Romani culture. Under Stalin the Roma were forced into slave labor and used by the Soviets in a subhuman manner. The Poles seemed over zealous in handing over Roma over to Hitler's SS during World War Two. And the Balkan states have all had a long history of forcibly keeping Roma people segregated from the rest of society. While Western Europe showed it's complete disregard of the Roma people in just the last few years as France, Germany, and Italy all led the way in deporting Roma people and forcing evictions of entire Roma communities. This was almost a mirror image of how Hitler had dealt with the Roma when his forces occupied Europe just over 70 years ago. And yet the EU could only manage to offer up rather moderate condemnation for France when it refused to stop deportations. It is notable that the EU however did not condemn Italy or Germany for their actions or even England for its use of forced evictions. This lack of outrage shows a disturbing level of tolerance for state sponsored intolerance of one of Europe's largest minorities. Obviously one would imagine that Europe would have grown in it's capacity to tolerate and integrate Romani culture into it's vast array of cultures already assimilated. You would imagine that at the very least the Roma would only suffer segregation in as much a way as the Chinese immigrants do by formation of areas nicknamed "China Town". This manageable degree of segregation would be considered somewhat normal since people tend to surround themselves with people of a similar cultural background. It can be seen in areas where Kosher markets and delis are almost adjacent to synagogues. And for the most part this form of segregation is accepted by even the most liberal societies. But for the Roma this form of segregation would be a giant step up from their current level of oppression within European society. In most of Eastern Europe Roma are supposedly legally allowed to live in areas where their "white" neighbors congregate. However in most cases if Roma would move into a white neighborhood the local branch of Europe's KKK would show up that same night. Just as African Americans were told to stay on their side of the tracks, Roma in Eastern Europe are forced into ghettos reminiscent of those established by the SS. Then when the local white population decides that they no longer want Romani families in one ghetto they have the Romas' homes destroyed and force evictions. Roma who loose their homes are then forced to even worse ghettos. Despite laws that appear to make "white only" neighborhoods illegal, Jim Crow like laws nullify any sense of equality. In places like Slovakia Romani people find that Jim Crow doesn't just apply to where they are allowed to live but also dictates where they are able to work. According to The New York Times, "Only 20 percent of Roma men of working age in Slovakia have jobs — compared with 65 percent in the general population — and they die 15 years earlier than the national average." This level of employment disparity affects how the Roma will provide for their families and manage to put food on the table. When they are only able to manage a 20 percent employment rate the Roma are forced to rely upon governmental assistance and thus become subject to public ridicule. Adding to the stigmatization that Roma already face due to the socially accepted level of bigotry that exist within European culture. Then comes the problem of widespread discrimination against Romani children when it comes to education within European school systems. From Greece, Hungary, the Czech Republic, down to Slovakia and Romania; the institutionalized level of segregation practiced on a purely ethnic basis is astounding. It directly mirrors the segregation that took place in America's South. Many schools within Greece are literally "white only". In Slovakia Roma children are not allowed to eat within the school cafeteria but are instead forced outside to eat bagged lunches while their Slavic (white) counterparts are fed hot lunches. While in the Czech Republic it is a common practice for schools to place Roma children in classes designed for the mentally handicapped simply because the children were born Romani and not Czech. It is in the schools that Europe implants the seeds of discrimination into the hearts and minds of the next generation. Roma children who grow up with parents that are unable to find jobs due to discrimination are immediately reminded by the state that they too are just as unwanted as their parents. Where the government should be encouraging it's future to learn how to better their future the state instead shows Roma children that there are limits to their future. By allowing segregation in the schools, Europe digs the trenches in which to bury the aspirations of the next generation. If change is to come to Europe it may not need to come in the way America had to bear it. But it must come one way or another. Europe can no longer grow in its freedoms as long as a portion of the population is denied the right to grow with it. Europe must decide whether it is to amputate the Roma from European society (as the Nazi's attempted to do) or whether it will fully accept the Romani as part of Europe's rich heritage. After all, nobody wants to simply be tolerated. Segregation must be ended. It cannot be tolerated. It is a distinct barrier to progress. In Hungary the resistance to change has already become violent. Jobbik has rallied in the same way that the KKK sprang forth to challenge the Civil Rights Movement in America. Violence, intimidation, and re-enforcing of Europe's Jim Crow laws have all been the hallmarks of radicalized organizations like Jobbik in Eastern Europe. In Western Europe groups like the EDL (English Defense League) make up the backbone for the radical right-wing of Europe's pro Jim Crow crowd. These organizations back political parties that practice policies such as keeping the Roma on the road (or constantly driving Roma out). These groups mainly use intimidation but are not above using force (example here). These groups present the same possibility for violent change as Europe realizes that segregation has no place in the 21st century. They are the KKK of Europe. These groups inhibit growth and stand in the way of progress. And yet they are only a portion of the reason that change is slow in coming to European society as a whole. Politicians in Europe who exploit entrenched prejudices to further their political carriers help to keep Romani families on the fringe of European society. Through their own bigotry and callousness they help to block Roma integration. Others demand that Romani people assimilate to traditional European ways of life (assuming on their part that Roma don't want to in the first place) while refusing to demand the same of new immigrants. All of these politicians are allowed to practice such discrimination however in part to the established bigotry toward Roma in Europe in the first place. A member of European society does not need to support the EDL or Jobbik to help prevent equality for their Romani neighbors. They simply have to accept the discrimination that Roma suffer in Europe on a daily basis. By refusing to speak up for their fellow Europeans (the Roma) these citizens allow their apathy to further the suffering of the Romani. Yet this apathy is not limited to white Europeans alone. All Europeans; regardless of race, religion, ethnicity, or cultural heritage should feel a deep sense of disdain for any level of discrimination found within their society. The willful tolerance of these prejudices should spark a fire within you that cannot be contained. Witnessing this repression of a fellow human being should pull at your heart and soul in a way that provokes action... demands condemnation... and makes you scream. Change will come to Europe. It must. It is only due to a lack of support for it that Europe still suffers from the limitations that held back America's embrace of civil liberties. And yet this barrier to true freedom and liberty can be overcome. This obstacle that has one fatal flaw. It is that it must be accepted by society if it is to remain in place. 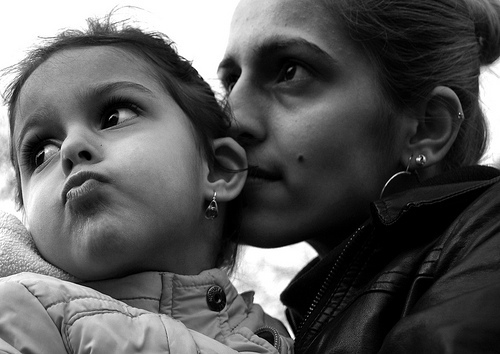 Europe as a whole must find the segregation and oppression of the Roma intolerable for it to finally end. What better time than now."